Find out what sets the Abu Dhabi-based airline apart from the competition. There’s a beauty behind branding, which Peter Baumgartner appreciates. It’s how that special story of a company is told and experienced that sets it apart from its peers. 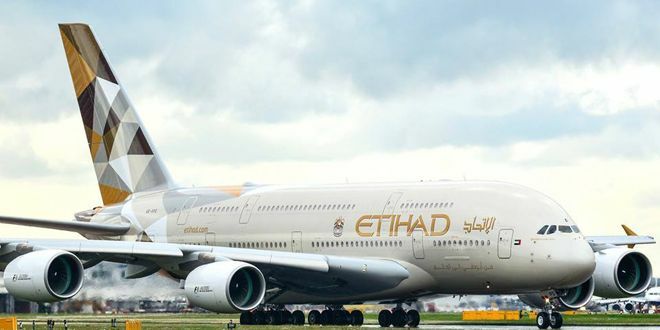 Swiss-born Baumgartner, who has worked with his home country’s national airline and has since 2004 stood as Etihad Airways’ chief commercial officer, believes the Middle Eastern airline knows it well. And he is helping it climb to greater heights. With his years of experience in the aviation industry and frequent travels for work and play, Baumgartner oversees several departments (from marketing to global sales to service delivery) with a customer-first perspective. At the end of the day, the goal is to stay loyal to Etihad’s key tenet, to be “Inspirational for all”. Peter Baumgartner Compared to my wife, I’m an ultra-light traveller. I’ve ran out of ideas to help her pack smarter and lighter, so all suggestions are welcome! What makes or breaks a travel experience for you? Baumgartner A top quality start-to-end experience. I’m passionate about strong brands, so I expect a brand to tell its own story by delivering an authentic experience. If I’m holidaying at somewhere new, I really don’t want to return home with a feeling that it wasn’t distinctive or original. What I want most is being able to say, “That was an amazing holiday. I’m so glad we went there because it was unlike anywhere else.” With business trips, I do expect things to be more efficient, professional and respectful of my privacy. How does the Middle East’s view on hospitality differ from the Swiss? Baumgartner One of the lesser-known things about the Arab world is that hospitality is in its DNA. The generous welcome that’s extended to strangers is legend among the Bedouins who live in Abu Dhabi, home of Etihad Airways. This differs from the hospitality experience in Switzerland… where it’s more about the “craft” and professional skills that people in the industry have learnt and refined over time. So the difference comes largely from whether hospitality is inherent, or an acquired skill or professional vocation. When it’s part of one’s DNA, great things can happen. Etihad Airways is redefining luxury travel with its three-room airline suite, The Residence. How does innovation work behind the scenes? Baumgartner At Etihad Airways, we have developed our very own approach in driving innovation. There’s a lot of customer research, inspirational design, validation, conceptual prototyping, validation, industrial design, functional prototyping, manufacturing and so on. It’s only by this approach—embracing the entire value chain of innovation and managing it smartly—that one can successfully create a leading global brand like Etihad Airways in just 12 short, and dare I say, remarkable years. It’s also the only way to sustain the world leading position into the future. I can’t reveal all the secrets to our success, but we have a few special in-house “institutions” like the Etihad Design Consortium. What’s trending in travel at the moment? Baumgartner Health and well-being trips have become seriously big for the industry. There are also exotic types emerging from what were formerly niches like volunteerism and soft adventure, as is “intergenerational” tourism, which I’m particularly fascinated by. It’s a really interesting sociological development and one that’s personally very pleasing to see. Photos courtesy of Etihad Airways Instagram.